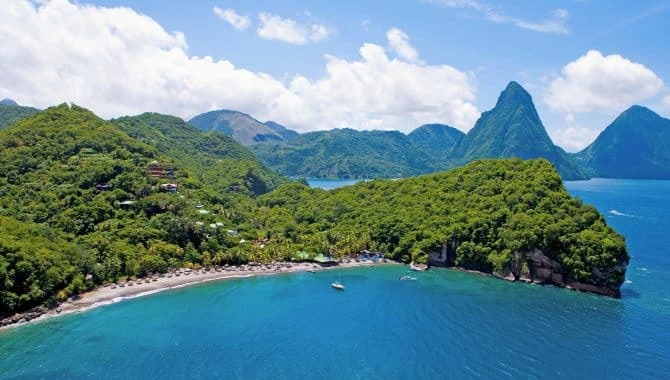 Plan the ultimate kid-free getaway to one of the Caribbean’s most iconic islands: St. Lucia. 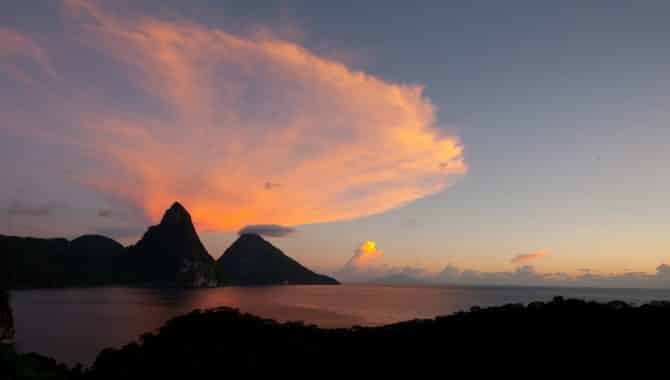 You’ll be greeted by the welcome sight of the towering Pitons peaks as you land on this lush jungle of an island. 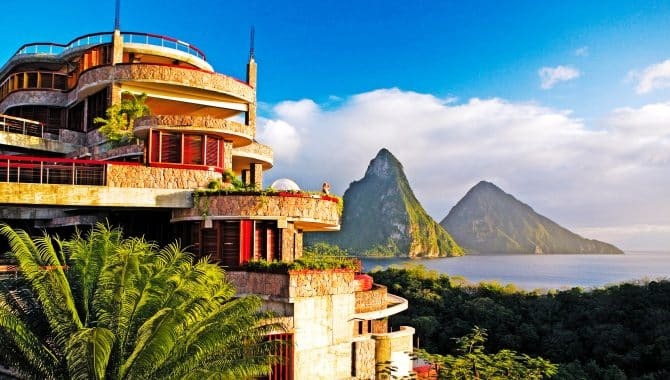 As a top destination for both lovers and friends, St. Lucia has plenty in the way of adults-only accommodations. 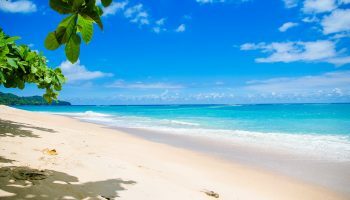 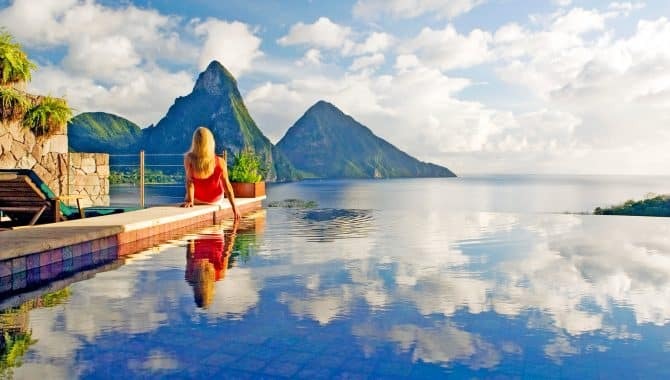 Indulge in heavenly spa treatments and top-of-the-line cuisine at your beach resort, or adventure to St. Lucia’s most mesmerizing attractions, like pristine coral reefs, sulfur springs, Marigot Bay and Pigeon Island. 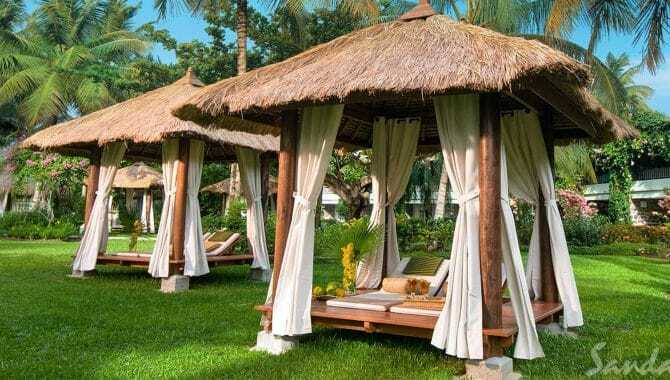 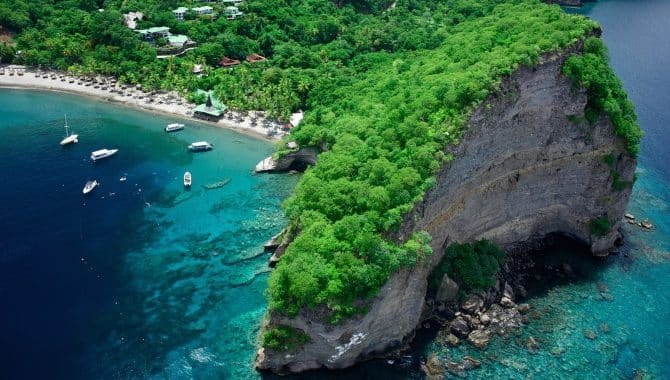 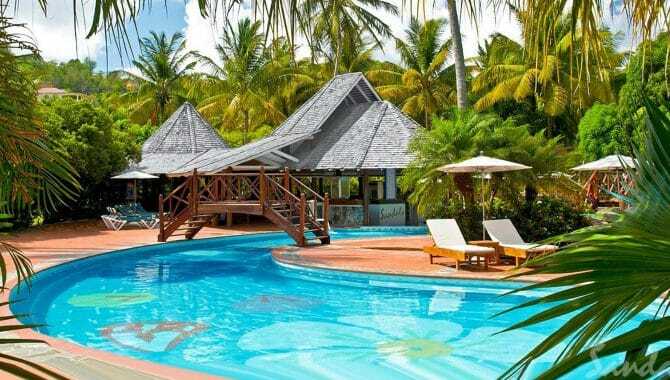 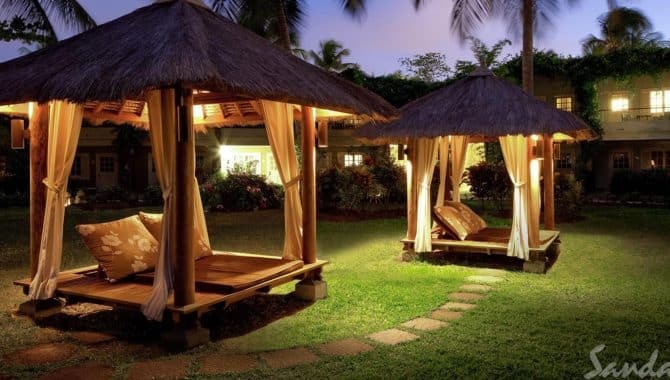 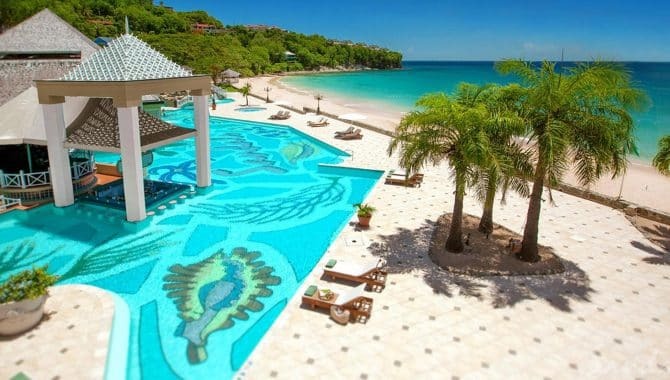 Hideaway at Royalton is a resort within a resort, as it’s the adults-only section of the Royalton St. Lucia. 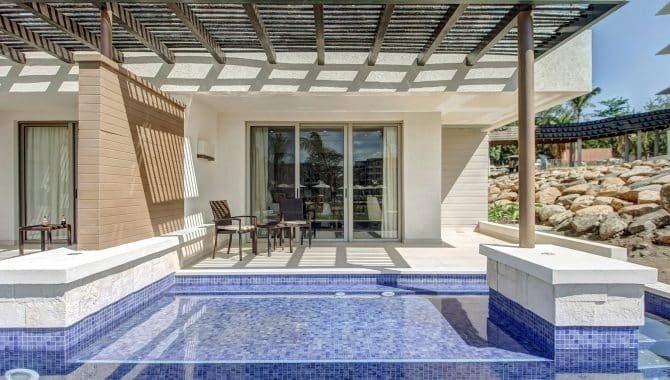 While Hideaway guests can take advantage of everything at the main resort, they have their own exclusive infinity pool, beach bar, beach area and an upgraded room service menu. 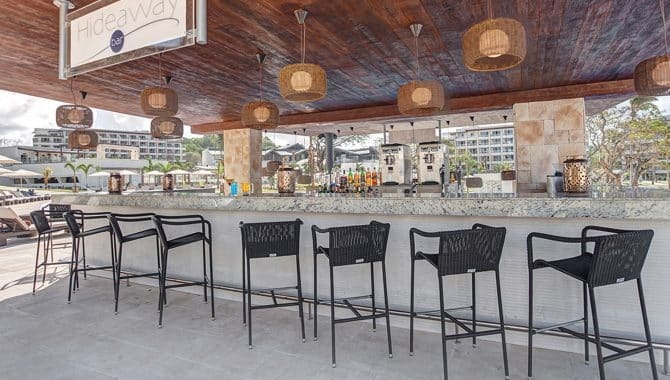 Guests at Hideaway have access to all of the main resort’s dining options, and the nine on-site restaurants provide plenty of variety in both cuisine and ambiance. 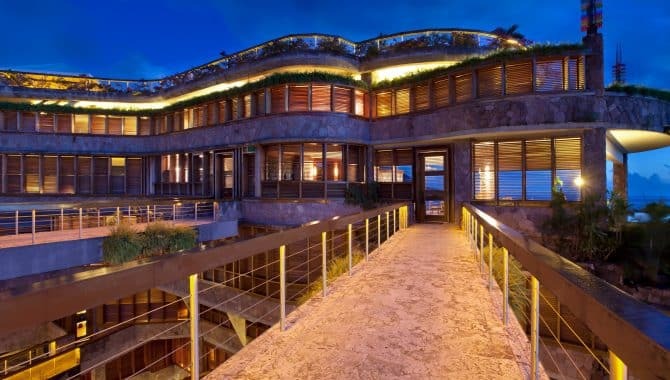 International, Tex-Mex, Japanese, Italian, Calypso, a steakhouse and a sports bar & lounge are among the options. 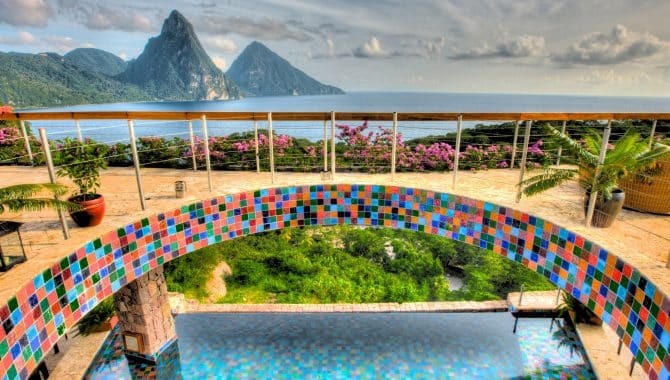 For an extra fee, the C/X Culinary Experience is a chef-guided tour through seven different courses, each accompanied by its own music. 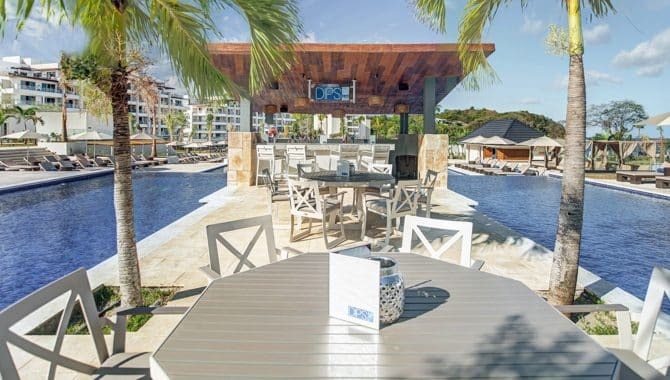 No less than ten on-site bars and lounges serve up refreshments throughout the day and ensure that there is plenty of party remaining after the sun goes down. 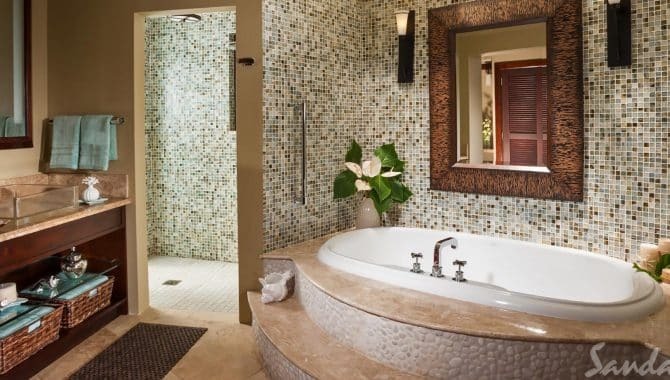 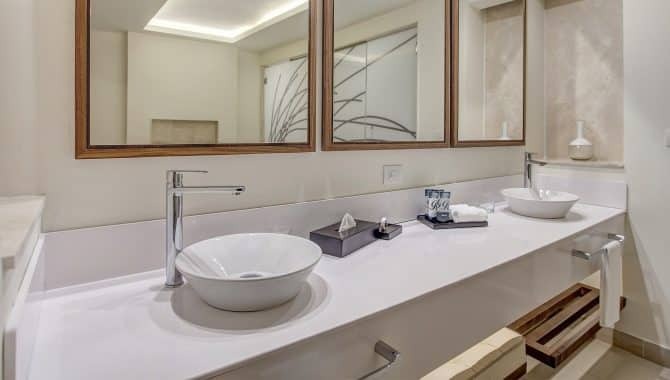 Four room categories are offered: Luxury Junior Suite, Luxury Presidential One Bedroom Suite, Diamond Club Luxury Junior Suite and Diamond Club Luxury Penthouse One Bedroom Jacuzzi Suite. 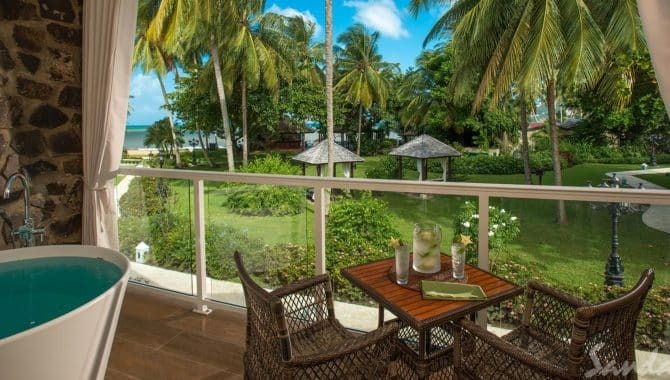 All rooms include WiFi, 24-hour concierge and room service, a balcony or terrace and a stocked minibar. 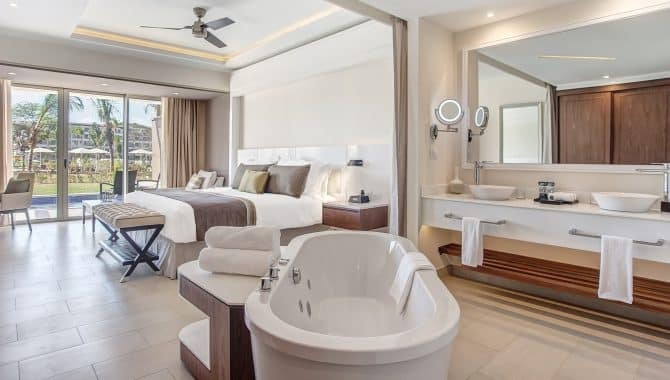 Diamond Club rooms provide access to an exclusive area with a pool and Jacuzzi, and guests can relax on a pull-out couch while soaking up the spectacular view. 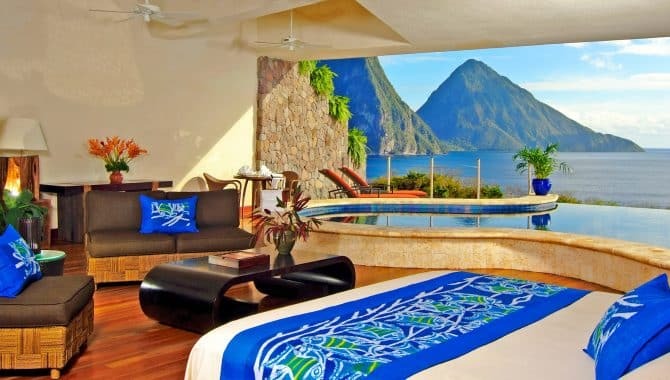 A boutique hotel affixed to the side of a mountain and overlooking the shore from around 100 feet above ground, Jade Mountain Resort may be one of the most architecturally unique properties in the world. 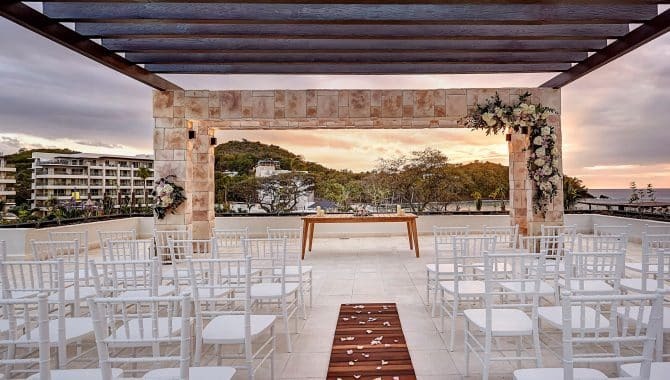 Guests here find themselves surrounded by natural beauty in an open-design wonderland, where each of the 29 immaculately-decorated rooms features a missing fourth wall facing the stunning mountain scenery. 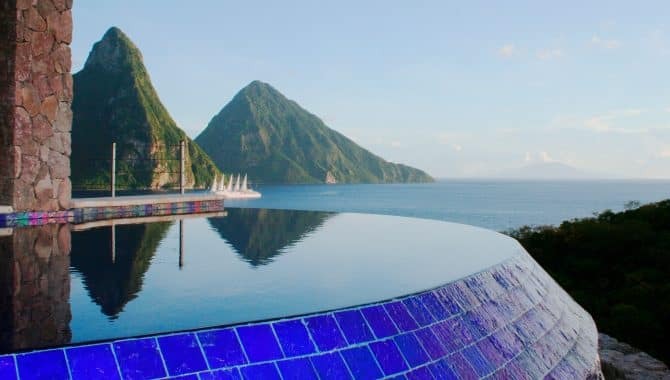 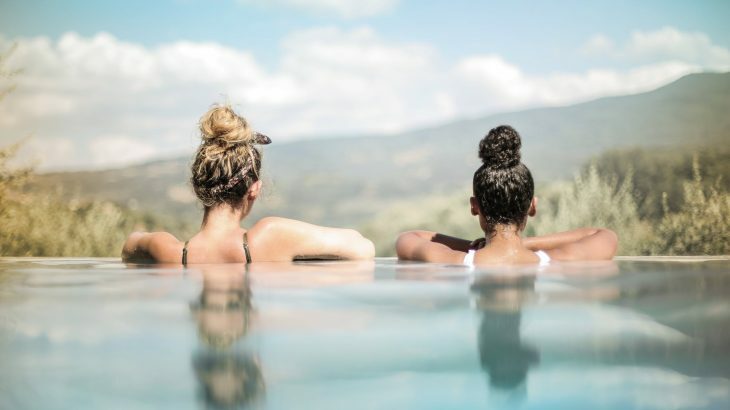 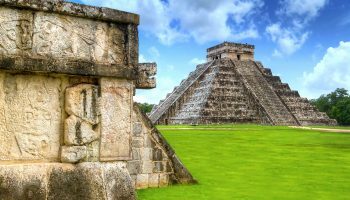 And when it comes to those rooms, there’s a reason Jade calls them “sanctuaries.” Accommodations, most of which have their own seamlessly integrated infinity pools, are spaced far apart to maximize privacy and are largely tech-free—something ideal for anyone looking to unplug from the modern world. 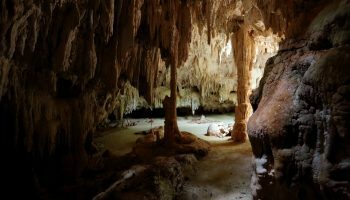 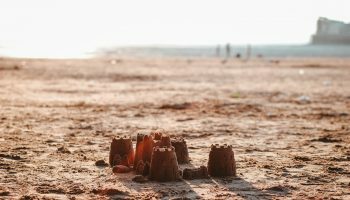 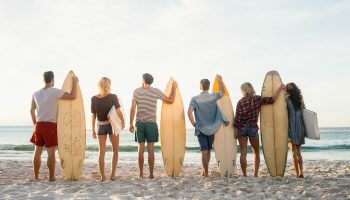 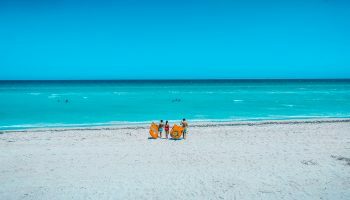 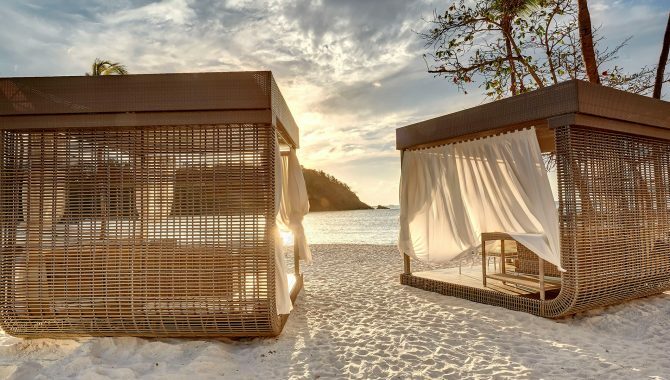 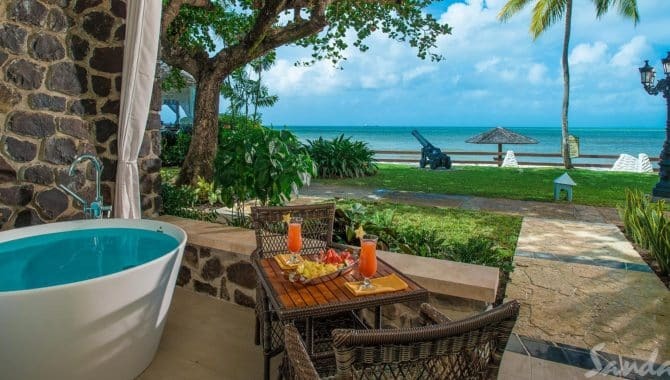 Additionally, the property has a strict no kids policy, so none of the distractions one expects from family-friendly resorts will ruin your intimate getaway. 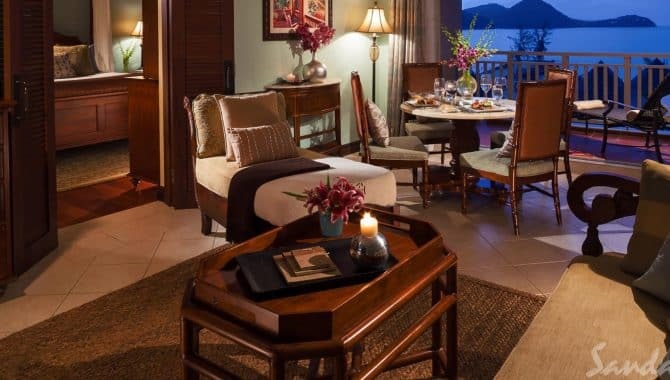 Since you’ll likely spend a good amount of time at the luxury resort, a meal package is highly recommended. 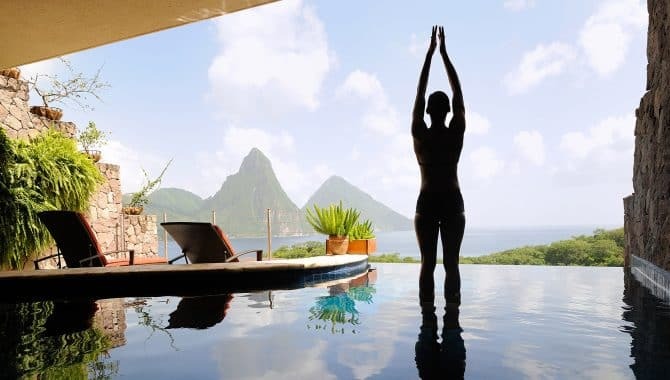 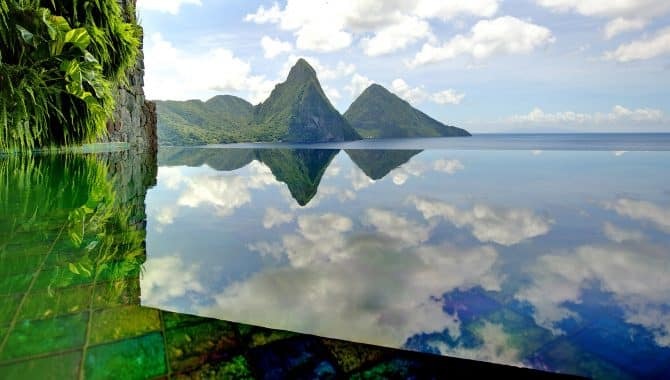 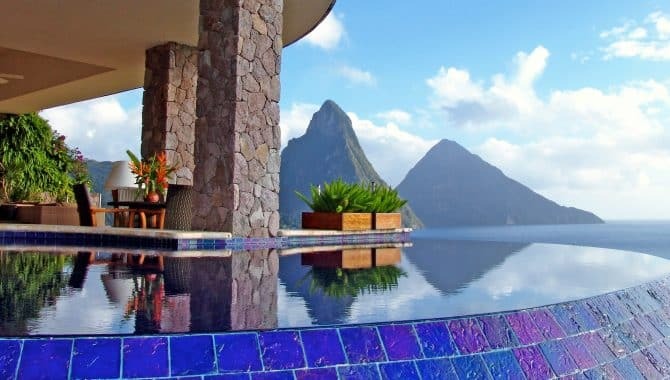 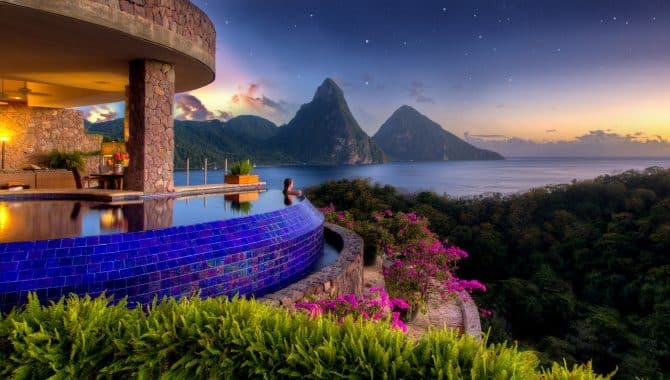 The main dining facility, the Jade Mountain Club, specializes in gourmet cuisines from all over the world and a stellar wine list, while sister resort Anse Chastanet offers Caribbean and Indian fare just a short shuttle ride away—which is also how most guests get to the beach. 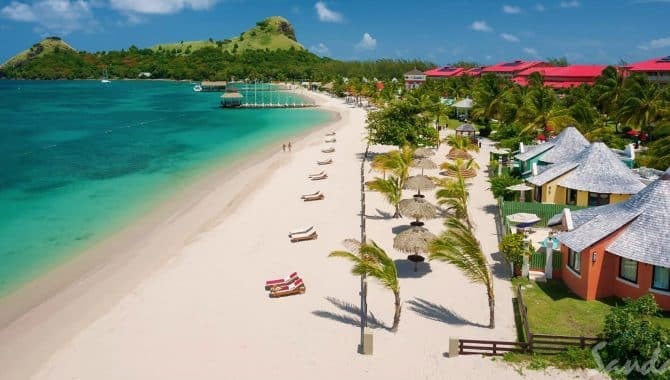 Guests at Sandals Grande St. Lucian Spa & Beach can partake in a wide range of fun, yet relaxing, activities. 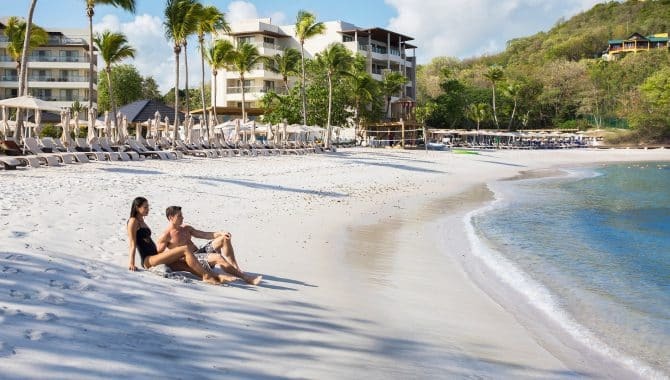 Visit the beach to soak up the sun, jump in a complimentary kayak for a shoreline adventure or sign up for the resort’s scuba diving program. 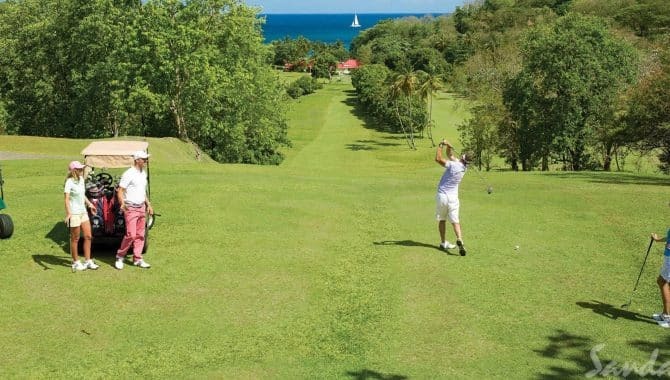 If you’re more of a land person, enjoy the free green fees at the new Sandals St. Lucia Golf & Country Club, or enjoy a game at the on-site tennis court. 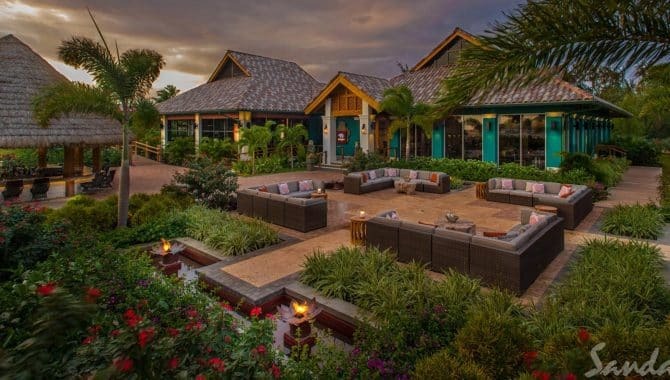 Visitors have 12 on-site restaurants and six bars to choose from, as well as 15 more restaurants at the two sister locations. 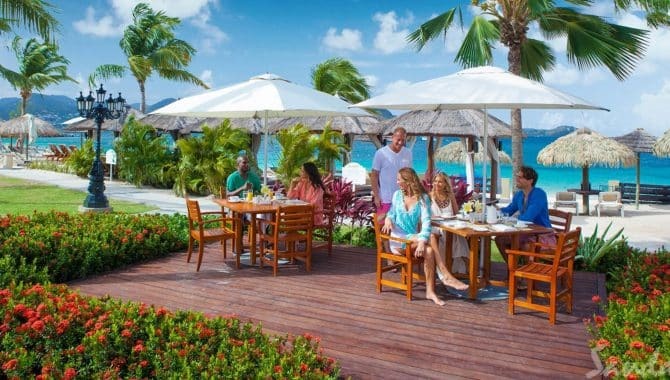 Try authentic Italian cuisine at True Italian Innovation, taste delectable seafood at Gordon’s Pier Restaurant or eat like a true local at the Jerk Shack. 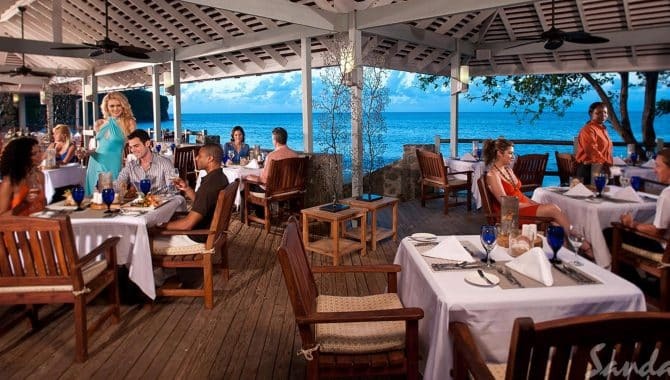 If you’re planning a romantic dinner, enjoy the fine dining ambiance at Barefoot By the Sea and Bayside Restaurant. 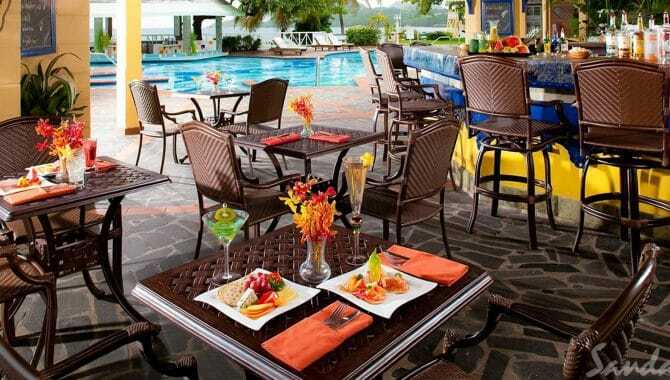 For a more casual setting, visit Old London Pub for fish and chips and Josephine’s Gourmet Creperie for desserts. 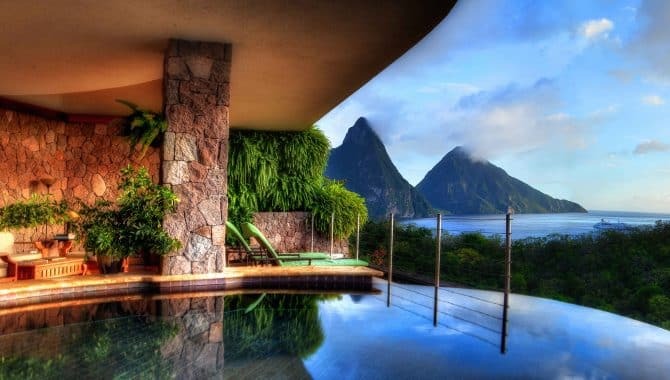 The St. Lucia resort offers suites and bungalows across four levels. 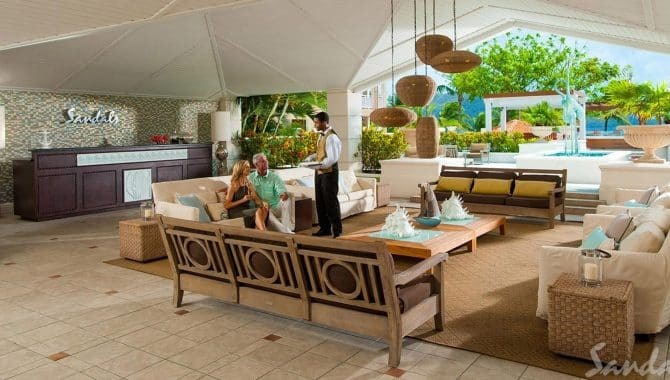 Butler Level and Love Next suites, along with bungalows, are equipped with around-the-clock butler and room service, while Club Level suites offer a concierge service. 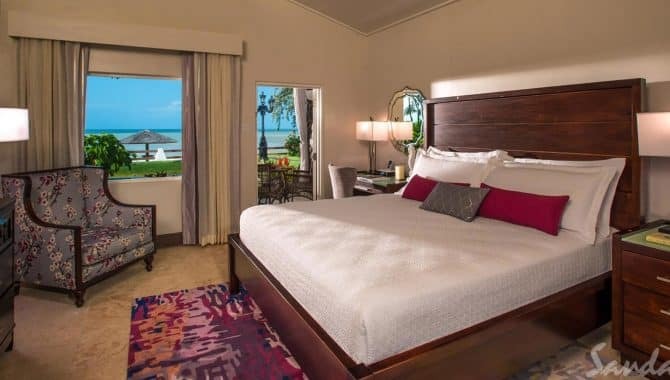 Luxury Level units are available with a garden or ocean view and feature a four-poster bed and a refrigerator stocked with refreshments. 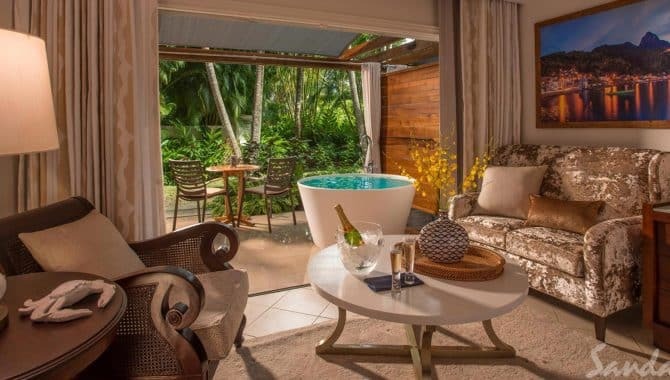 For a truly unforgettable retreat, choose an Over-the-Water Bungalow to enjoy vaulted ceilings, over-water hammocks, a soaking tub, and private patio. 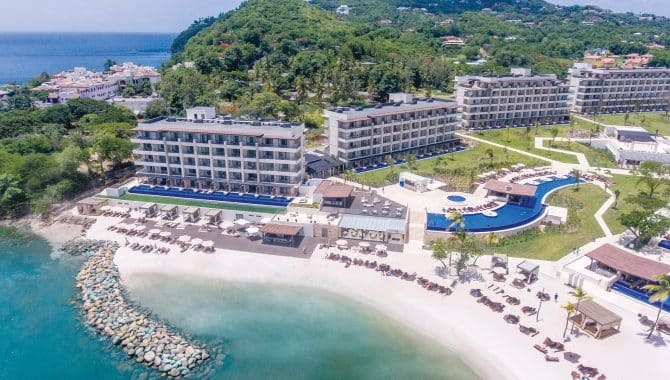 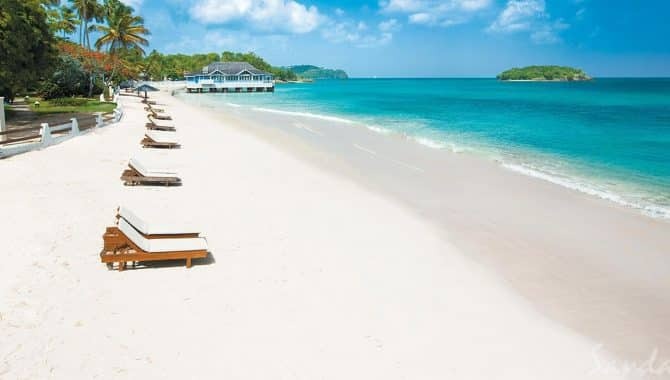 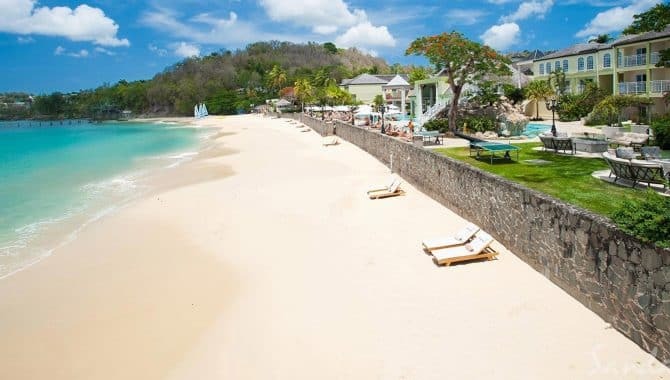 The Sandals Halcyon Beach Luxury Resort is a couples paradise—a romantic all-inclusive property on St. Lucia’s northwestern coast that doesn’t skimp on the amenities. 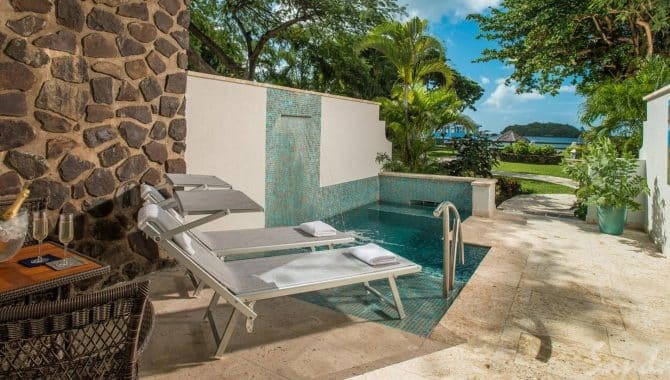 Lounge around by one of the two swimming pools, choose from an array of water sports options or simply soak up some rays on the beach—it’s all up to you. 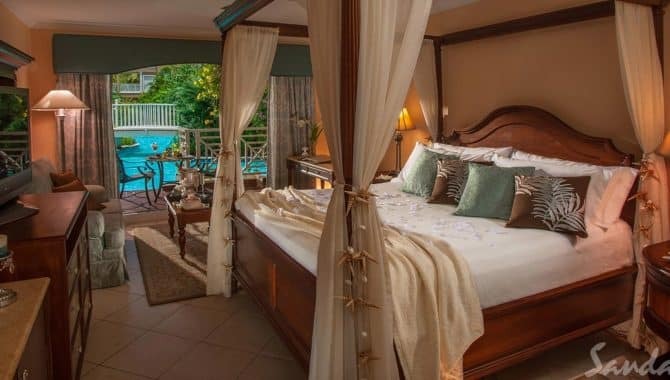 Guests can choose from cottage-style, single-story rooms with stone terraces or larger, two-story Honeymoon Hideaway rooms with balconies and pool and garden views. 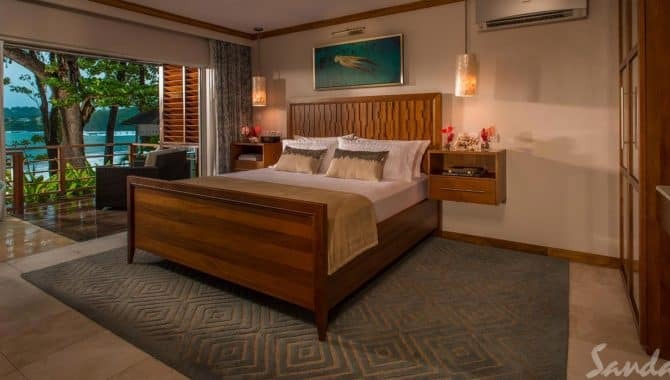 All room options come with impeccable island-style decor, luxurious linens, flat-screen TVs and air conditioning. 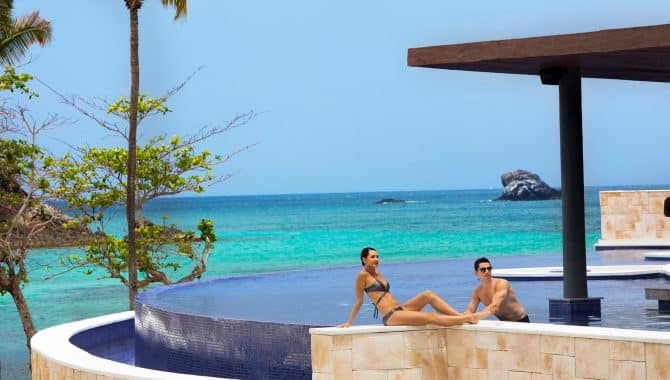 You can also choose from three different levels of service: Luxury-level, Club-level and Butler-level, with the latter two offering their own unique perks for those seeking extra-special treatment. 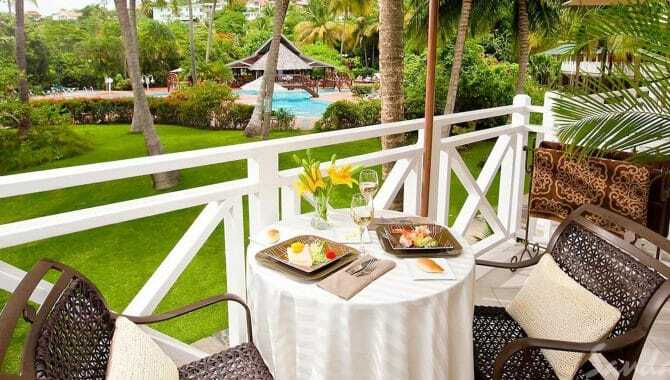 Guests will also be pleased with a diverse array of dining options. 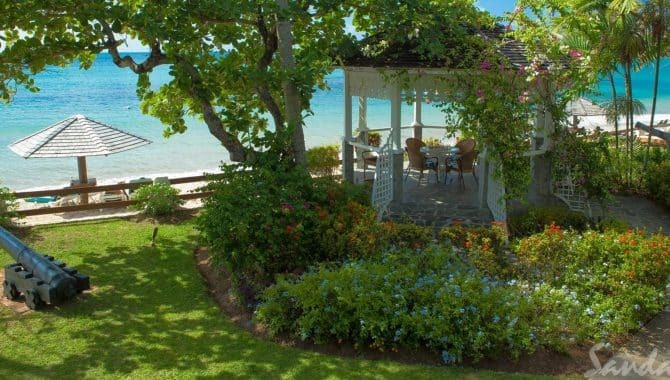 Want your meal to come with a beachfront view? 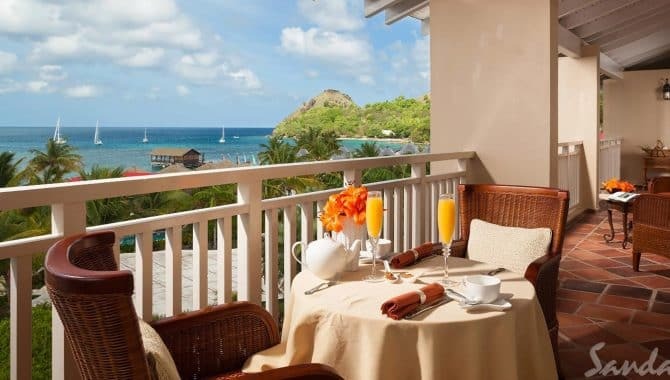 You’ll have three options to choose from, with casual bar food at Beach Bistro, all day international fare and a breakfast buffet at Bayside Restaurant and upscale Creole dishes with an unparalleled romantic ambiance at Kelly’s Dockside. 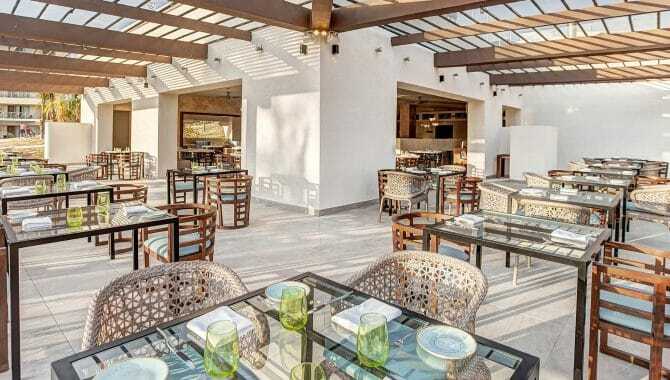 Guests can also enjoy sushi at Soy Sushi Bar, a more diverse menu of Japanese specialties at Kimonos and excellent Italian cuisine at Mario’s. 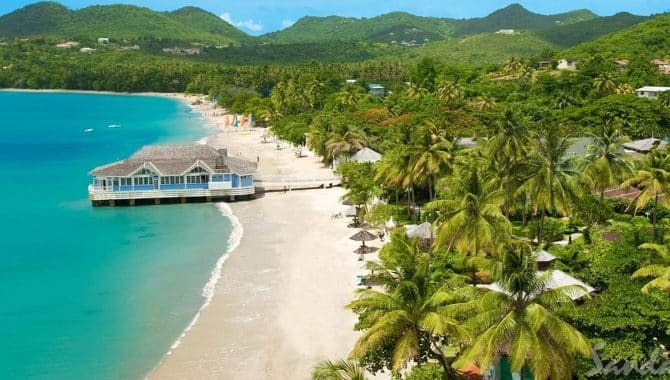 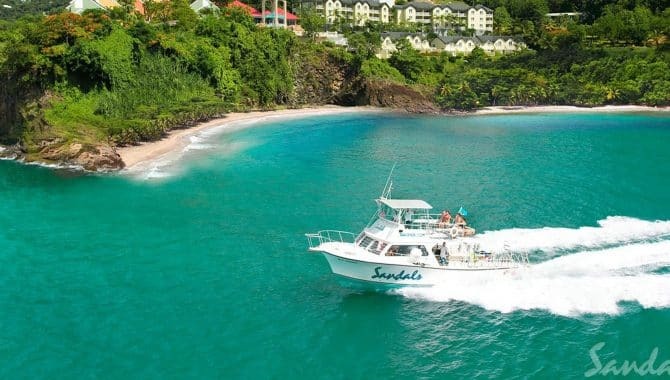 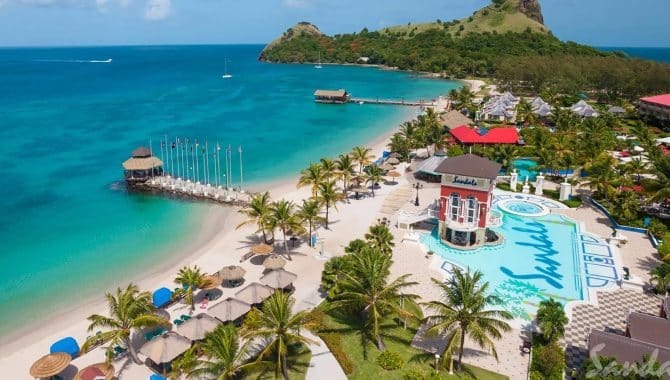 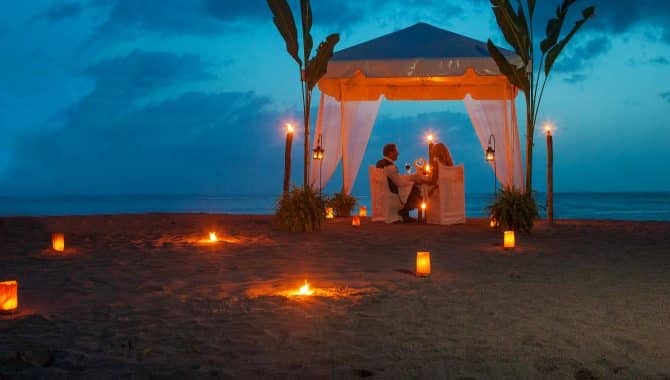 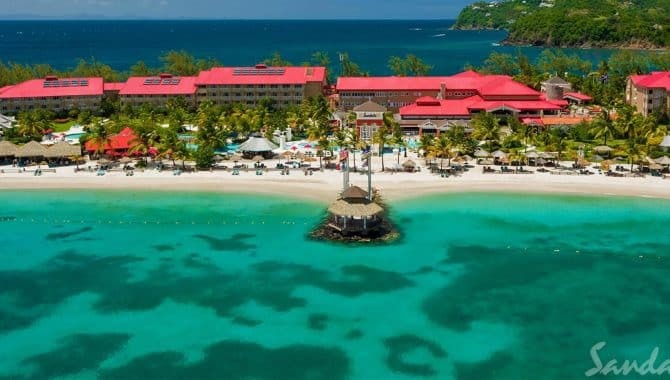 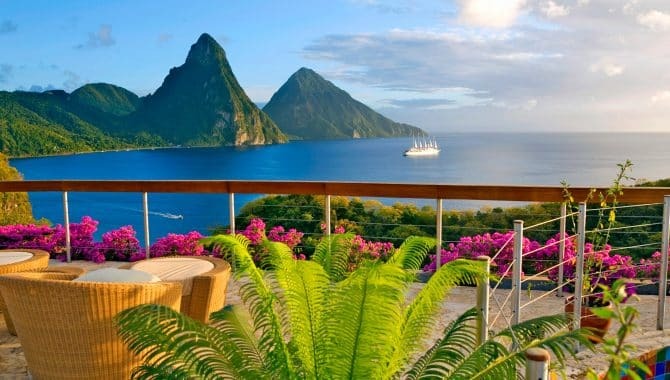 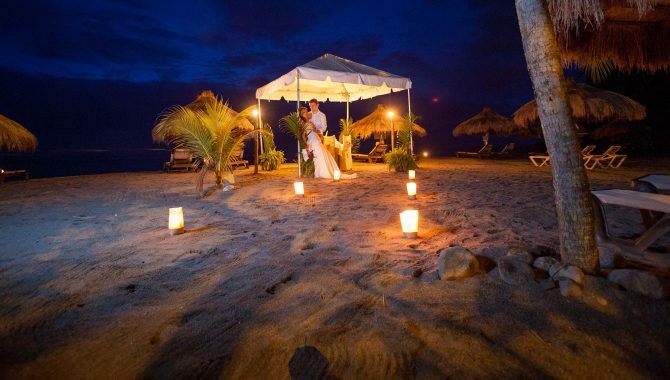 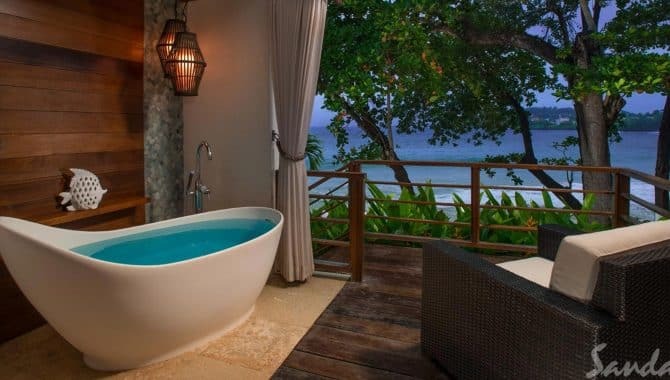 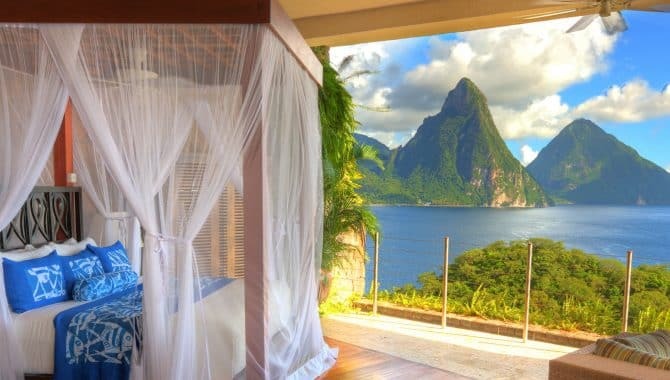 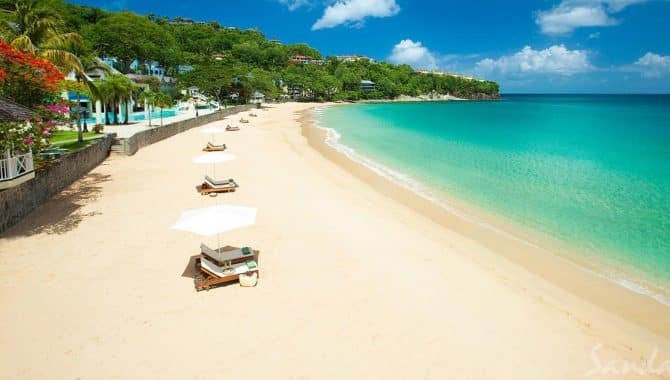 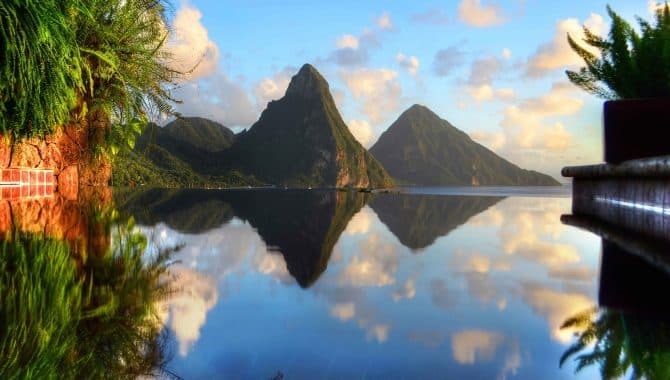 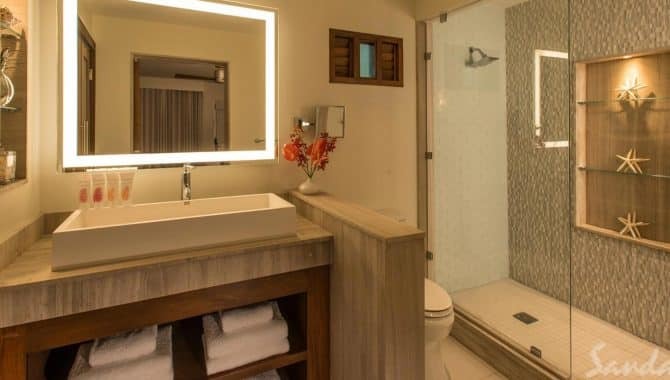 The first of the three Sandals resorts in St. Lucia, the Regency La Toc comes with a long history of happy guests seeking a romantic getaway on the island’s north coast. 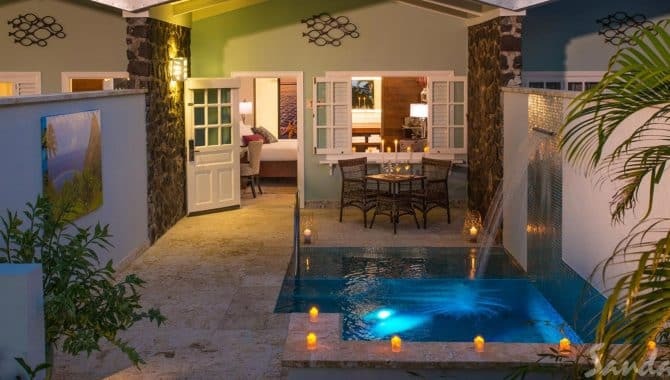 Made with couples and honeymooners in mind, this luxury property has everything you need—a stunning beach, two massive pools with swim-up bars, water-sport options like scuba diving, and even a 9-hole golf course. 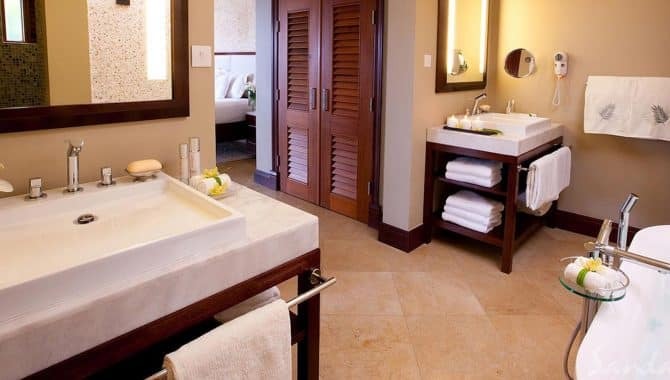 Best of all, this resort is all-inclusive, with most amenities featured in your room rates. 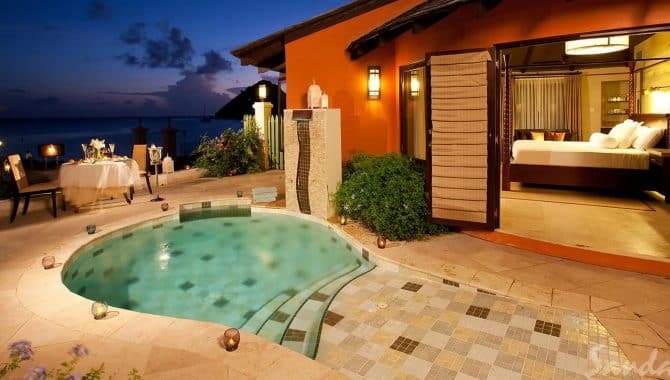 As for the rooms, guests have a lot to choose from. 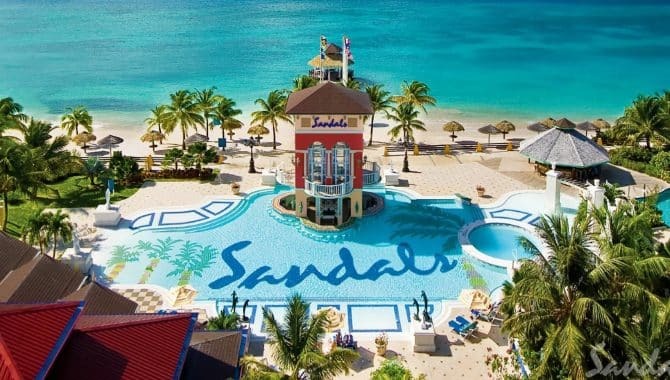 The higher-tiered rooms and suites include features like a personalized butler service and access to the 24-hour lounge Club Sandals. 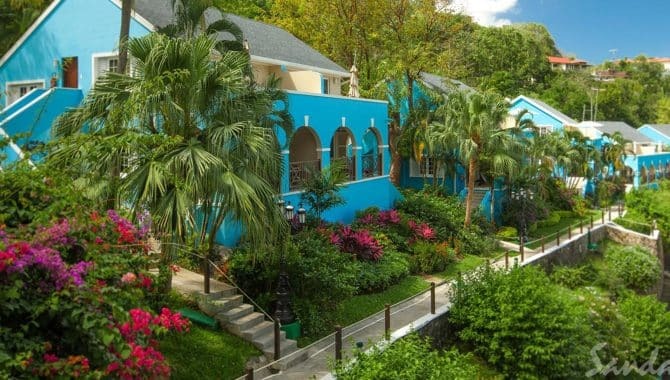 All rooms feature king-sized beds, air conditioning, mini-fridges, WiFi and attractive Caribbean-style decor. 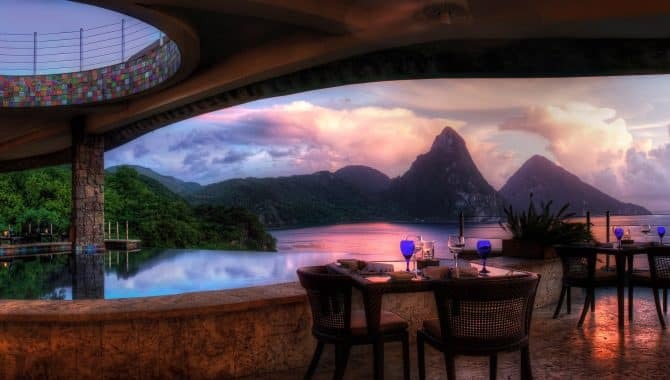 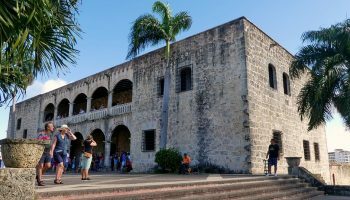 A whopping nine restaurant options are available for guests as part of the all-inclusive package. 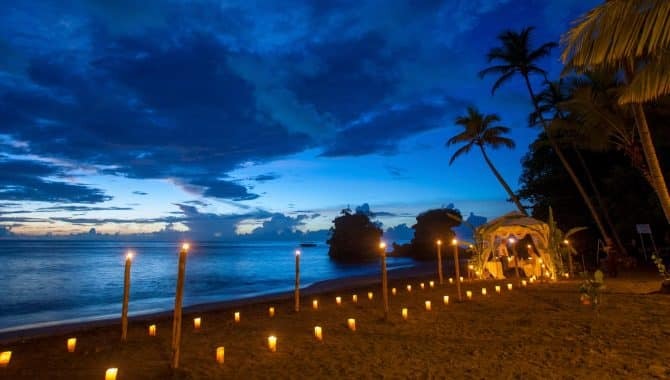 For an intimate night out, dine on fine Italian fare at The Pavillion and Armando’s, Japanese specialties and sushi at Kimonos and Soy, Mediterranean seafood at Neptune’s and adventurous international cuisine at The Pitons. 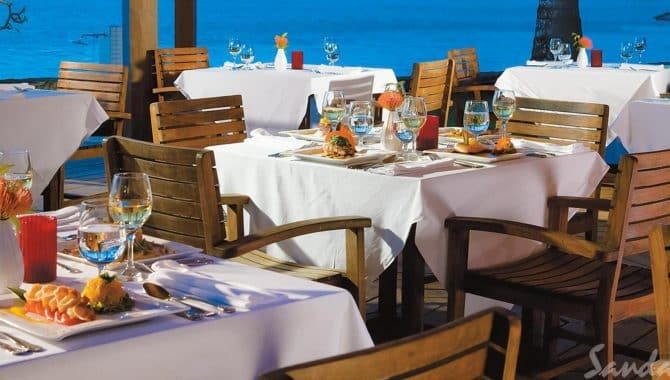 Those looking for a more casual option can grab pizza at Bella Napoli or casual pub grub at The Cricketers Pub.